Give them cleaner, healthier, greener, smarter buildings. They will stay. The key to attracting and retaining tenants may be as simple as tackling the basic creature comforts first, and then moving to LEED® certification as quickly and cost-effectively as possible. All of this is influenced by the partner you choose. Veritiv is an advisor who can increase your marketability—strategically and cost-effectively. As a BOMA 360 Performance Program® Ambassador, Veritiv is committed to the highest standards of excellence in facility management. Looking for a smarter way to manage your buildings? Our high performance building tips give you a competitive edge, and boost your office building’s performance. A healthier building means healthier tenants. University of Westminster Study Feb 2009. Time is money, so make every second count. Veritiv Certified LEAN Advisors will ensure you and your employees are getting the most out your workday. They will conduct a facility assessment that identifies hidden cost savings opportunities. Using productivity tools, your advisor will help you optimize your staffing to make the most of cleaning resources, choose the right machine, and improve customer service. Your advisor is backed by a dedicated customer service, IT and sourcing team so she can ensure you have precisely what you need, when you need it. Green cleaning programs can boost LEED certifications to Gold, which commands higher rents. Higher LEED certification levels also enable you to improve employee and tenant satisfaction and meet the high standards and expectations of corporate sustainability initiatives. 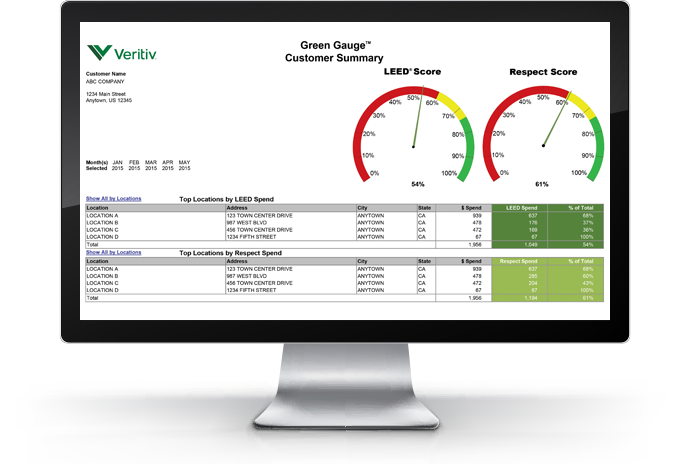 Your Veritiv Certified LEAN Advisor will help you implement, measure, and track progress toward your LEED certification and corporate sustainability goals, using green cleaning programs and proprietary tools like Green Gauge™. Veritiv Certified LEAN Advisors deliver strategic thinking to ensure smarter buildings. Veritiv advisors are elite, highly educated professionals who can help you implement and track the products and programs you need to be competitive. REQUEST information from a Certified LEAN advisor.